In this in-depth WooCommerce guide we share tips and strategies to help you achieve higher conversion rates and boost ecommerce sales. The continuous optimization of your WooCommerce store can lead to improved conversions, more sales, and greater income. The purpose of this guide is to help you achieve those three goals. 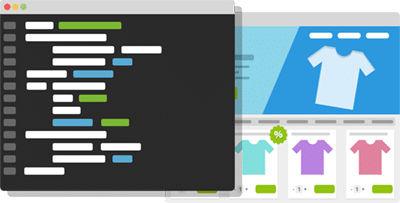 We will cover all aspects of optimizing your WooCommerce store – from choosing a theme, to integrating plugins, to optimizing your pages, to adding in features that will increase your conversions and sales. You will learn the most effective tools and techniques for optimizing your WooCommerce store and benefit from the positive impact of your actions. Once you are finished, you will better engage with customers at all stages of the purchase cycle, benefit from a reduced cart abandonment rate, and have integrated some cool techniques to improve customer service. Search Engine Optimization (SEO) is a buzz phrase for any website, and with that in mind, we will walk you through how to optimize your site for keywords and how to write compelling product descriptions with both your customers and Google in mind. In a nutshell, if you want to optimize your WooCommerce store to reach its full potential, this guide is all you need. Let’s get started! As the Internet continues to grow at an exponential rate, more and more people are choosing to purchase goods and services online. This is primarily due to both convenience, and the ability to search and compare thousands of products quickly and easily. The global scale of ecommerce is enormous. Figures released by eMarketer anticipate that business to consumer (B2C) ecommerce sales will soon rise by 14.6% to $4 trillion, and it is not just the likes of Amazon who will benefit. Smaller retailers are seeing benefits in easily reaching an international customer base – particularly when they have access to Content Management System (CMS) platforms such as WordPress and store builders like WooCommerce. In short, online sales show no signs of slowing. Now is as good a time as any to operate an ecommerce site. WooCommerce is a leading WordPress ecommerce plugin that provides an excellent foundation on which to build an optimized and user-friendly ecommerce store. It is built with best practices in mind, both on the customer-facing side and the back end, where administrators can seamlessly add new products, set up payment methods and integrate payment gateways. With a functional dashboard where administrators and business managers can evaluate sales and read product reviews, there is also the capability to monitor stock levels and overall store performance. Better yet, WooCommerce is incredibly versatile in terms of accommodating just about any design you could wish for. As WordPress gained momentum there was an increasing demand for a usable and customizable ecommerce solution. In 2008, the idea of WooCommerce was developed by three WordPress enthusiasts from several countries sharing information and ideas by email. This evolved into what is known as WooCommerce, which currently supports thousands of users around the world. WooCommerce – first released in 2011 – is developed by WooThemes, who was at the time simply a theme store, concerned with design more than functionality. However, it quickly became apparent that WooCommerce was their most promising product. In 2018, WooCommerce is used by around 8% of all online stores and 21% of the top 1 million sites. It is downloaded around 40-50,000 times every day – that’s more than ten downloads every minute. It’s super easy to install. Oh, and it’s free. WooCommerce has over a million active installs. 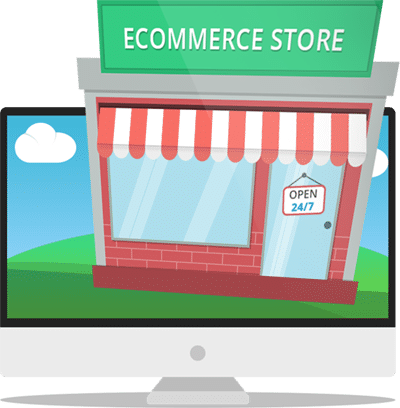 Its popularity is due mainly to the fact that it is easy to install (even for those who have limited technical knowledge); the comprehensive setup guide provides all of the information that you need to get your ecommerce site up and running. What’s more, there are hundreds of free and premium ‘extension’ plugins created by exceptional developers that can massively boost WooCommerce’s core functionality. If you are curious which are our favorites made a hand-picked list of the best WordPress plugins. If you are setting up an online business, the design of your website is really important – particularly if you are working with ecommerce. Website visitors expect a clean and seamless shopping experience with fast page load speeds and a straightforward user interface. As soon as they arrive on your site, they will make an instant decision either to stay and have a look around, or go to a competitor instead. While your store’s design must be visually appealing for visitors, it must also be functional and usable. People tend to form an opinion about a website within just a second or two, and the simpler and more logical the design, the better the impression you will have in that crucial window of time. In other words, a striking yet elegant design coupled with a straightforward shopping experience will help to build an invaluable level of trust and loyalty. Design really matters. With that said, let’s explore the design options available to you as a WordPress and WooCommerce user. The major benefit to using a free WooCommerce Theme is exactly that: it’s free. This can certainly be a help if you are bootstrapping your business and have limited funds. That said, when it comes to free WordPress themes, you cannot necessarily expect a superior quality of design and functionality. Support options are likely to be limited, and updates may be hit and miss. Finally, unless you’re an experienced coder, you’ll probably have to take your theme as it is – customization options tend to be thin among free themes. If your heart is set on a free theme, make sure that you make your selection from a reputable source. An enormous number of WooCommerce-enabled themes can be found on WordPress.org. Unfortunately, WordPress.org’s filtering feature leaves much to be desired, so you will have to refer to a theme’s description to discover whether it is WooCommerce compatible or not. In our opinion, if you are running an online store, it is worth paying for a high-quality premium theme. Prices start low and can go high, but you can expect to fork out around $50 for a hhigh-quality theme. This is a one-off cost and can make an enormous difference to your income in the long term. By choosing a premium WooCommerce theme, you can expect a well designed and highly usable storefront coupled with attentive support and regular updates. Furthermore, premium themes tend to offer advanced customization options not typically available to their free counterparts. As with free themes, it is best to choose a premium theme from a reputable supplier, to ensure the quality of your product as well as a quality and longevity of service. Also, make sure you avoide nulled WordPress themes and plugins. Your first stop might reasonably be WooCommerce itself, but other reputable theme shops – such as Elegant Themes, ThemeIsle, MyThemeShop, Tesla Themes or the most popular marketplace ThemeForest – are certainly worth a look. You can also check out specialized themes like WoonderShop created by the ProteusThemes team. It is a mobile-first WooCommerce theme optimized for conversions. If you have a greater budget to work with and want to create a bespoke or tailored site, there are no shortage of theme designers and developers available. Costs vary wildly – from hundreds to thousands, to tens of thousands – but one thing is true: You will pay far more for a bespoke design than you would for a premium theme. With that in mind, it is difficult for most ecommerce store owners to justify the cost of a bespoke design. A good compromise is to choose a premium theme, then hire a developer to tailor it to your needs. This will cost far less, but still result in a unique design that meets your needs. Before you proceed, you are best knowing the distinction between a designer and developer in the context of WordPress theme creation. A designer is responsible for how the design looks, while a developer is responsible for the translation of the designer’s work into a working website. Many freelancers operate as designer/developers, which tends to be more suitable for those with a smaller budget. You can also read our recent article on the topic: Where To Find Trustworthy WordPress Developers And How To Spot Them. Is the theme actively supported and regularly updated? Does the theme have high reviews/ratings (if applicable)? Is the theme responsive? Always make sure you are using a responsive WooCommerce WordPress theme (run the demo through Google’s Mobile-Friendly Test). Is the theme fast to load (use Pingdom Tools to compare the performance of different themes)? If you can answer those four questions in the affirmative, you’re probably looking at a pretty good theme. One of the most important factors to great web design is ease of use and clear navigation. Website visitors to a store need to know where they are at all times, and be able to complete a purchase successfully with absolute ease. If your navigation is poor or it is not immediately apparent how visitors can get from A to B, would-be customers will click away from your site and go to a competitor. Even small things such as testing spacing and white space in your navigational callouts on desktop verses mobile can have a big impact! UXPin saw an overall conversion rate lift of nearly 20% with a client after adding spacing between two navigational callouts on the desktop version of their site. Many online stores get the fundamentals wrong, which tends to have a disastrous impact. In the spirit of focusing on maximum impact, below we cover just three things that you can optimize on your WooCommerce store to great effect. Adding a clear “Call to Action” (CTA) button on each page on your WooCommerce store is a great way to signpost visitors to the next stage in their purchase. Make your CTA buttons stand out, but also ensure that it is clear what the user can expect by clicking it. A well thought out site structure with strategically placed CTA buttons can lead the customer through a great site experience. To be more specific, buttons such as “Add to Cart” and “Checkout” should be so prominent as to never be missed. Speaking of which, the “Add to Cart” button is one of the most frequently used CTA buttons. It should be prominent on the page and clearly distinguishable from the rest of the buttons or links. If necessary, include the button in multiple locations on your site, thus making it as easy as possible for your customers to make a purchase. Customers will trust you if you are honest with them from the get-go, so be clear on pricing, shipping costs, delivery times, and describe products accurately. Offer a simple return policy and make it absolutely clear how the returns process works. Nailing all of the above will put you ahead of the vast majority of ecommerce stores, and encourage customers to shop with you over the competition. The ultimate goal of your site is to make purchasing a product or service extremely easy. As such, the structure of your WooCommerce store is of great importance. 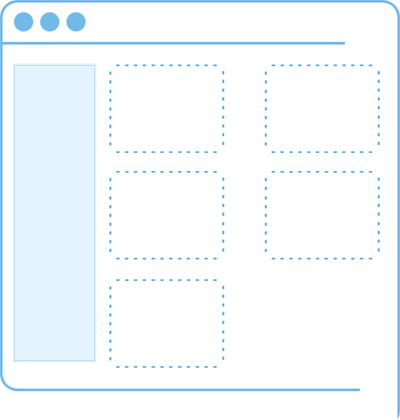 With that in mind, work with your web designer/developer to make each of your product pages easy to find, with menu elements, filters and search facilities. Try to approach your store’s design from a customer’s perspective and see if you can find products, obtain the information you need and make a purchase in as few clicks as possible. Gathering feedback is a great way to see whether the checkout process is straightforward for your customers. This can be achieved by sending them a survey link after their purchase, or inviting them to participate in a discussion after they have made a purchase. There’s no one-size-fits-all approach when it comes to displaying your products. Most WooCommerce stores get it wrong by sticking with the default store layout, which lists products in a grid. This may or may not be the best way to present your products. Think about which layout will showcase your products most effectively. If you sell visual products that benefit from big images, then the built-in grid layout is perfect. If you sell less visual products where large imagery isn’t important, then choose a layout that focusses on information instead. For example, many stores have increased their sales with plugins such as WooCommerce Product Table, which lists products in a structured order form layout. This can make products easier to find, show extra product data, and provide multi-select add to cart buttons for quicker purchasing. There are several ways in which to assess the usability of your website, and we’ll cover a few options in the following section. Usability is an essential part of website design, particularly if you operate an ecommerce store. In essence, usability testing should be an essential part of quality assurance. Furthermore, it gives you invaluable information on how customers (potential and existing) view and use your site. The concept of usability testing involves several people working on your website. There is usually a facilitator who guides the web user through the test, taking detailed notes. There is an observer, who ensures that the test is completed correctly. Then there’s the participant(s), the website owner and the site development team. At the very start of the project, perhaps using a mockup of the home page. During the planning and development phase. In the event of an issue reported during analysis of web traffic. If the website owner needs some specific information about the site. How web visitors interact with your website. The ease of use in terms of navigating pages. How easy it is to locate particular products or categories. Whether there are any sections of the site where the user gets lost. If there is anything that makes them feel uneasy about the site. 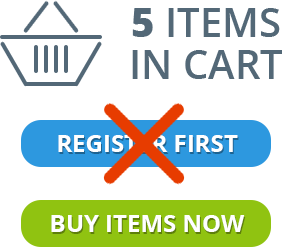 The reasons for shopping cart abandonment if this is a common problem. Key areas users like or dislike. Usability testing can last anywhere from five minutes to an hour depending on the issues that you want to test. Try to find people who have never had any previous contact with the site – if they already know their way around, it won’t give you a true picture from a new customer’s perspective. A/B testing (or “split testing”) is simply an experiment in which you create two or more versions of the same page, and measure which one is more effective. It is a procedure that many developers undertake as a matter of course, particularly if you want to apply big changes to your store, such as adding a new category or streamlining your product catalogue. It is also an effective method to determine whether any design change will improve conversions before you commit to making any actual changes on the live version of your website. This type of testing removes the uncertainty often associated with website optimization work, as it enables decisions to be made on what is known (rather than what is anticipated). A/B testing specialists can evaluate the impact that changes have on key metrics such as conversion rates and purchases, and as such, can ensure to a good degree of certainty that the changes made will have positive results.T he testing and optimization process may seem laborious, but it is certainly worth carrying out, as the benefits can be immeasurable in terms of sales. A/B testing can quickly become complex, and you may want to ask some help from a professional source. 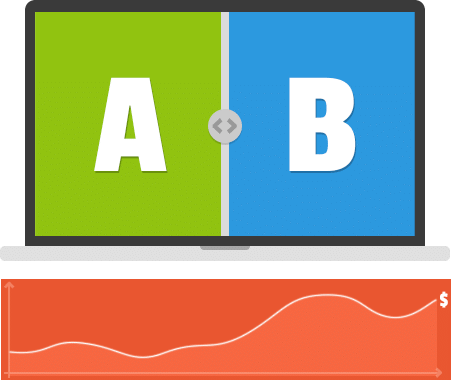 For further reading, take a look at our in-depth article on A/B testing. The speed and reliability of your website can make all the difference. If your site loads too slowly, web visitors and potential customers will click away and go to another site – but never fear, there are plenty of things that you can do to improve the performance of your WordPress site. There are plenty of tools online that you can use to measure site speed. We always recommend Pingdom Tools. 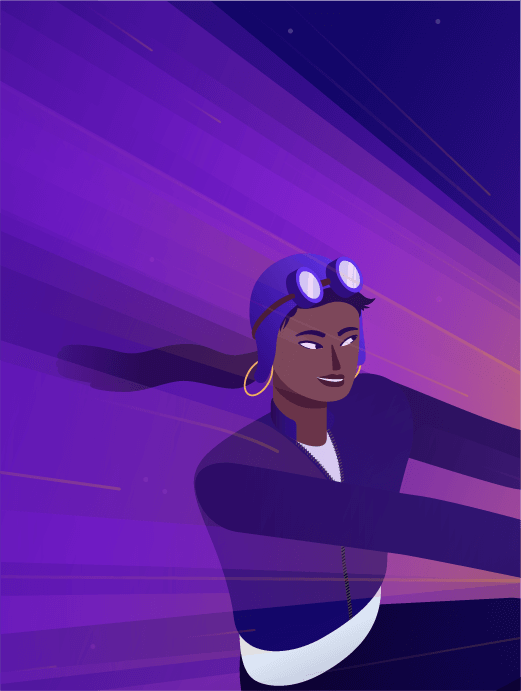 Now that you know how fast (or slow) your website is, what can you do to make a positive difference? Speed and reliability starts with your hosting provider. On a broad scale, you have two choices to make: Shared Hosting, Mannaged WordPress Hosting. We won’t dive into the gritty details here, but if you want your store to succeed, we strongly recommend managed WordPress hosting. A good provider will relieve you of the numerous issues that can be encountered with shared hosting; most importantly, speed issues. It’s well worth the relatively negligible price. If you have a successful WooCommerce business, you might have a large product catalog, lots of transactions, and lots of traffic. 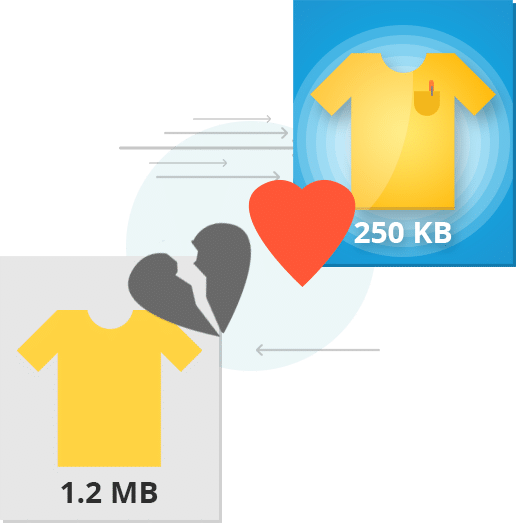 A large product catalog means importing lots of data with importer performance being the main limitation; also as catalog size increases the cache hit rate decreases. Large transaction volume can be handled with appropriate sizing of the server and database. It’s the large amounts of traffic that you need to focus on and optimize for. Scaling WordPress typically means page caching with something like Varnish or Nginx. That’s because most blogs serve static content which is cache friendly. The places where caching won’t help you are largely related to the personalization experience most stores deliver. For example, things like users who are signed in, showing cart status, PHP sessions triggered by plugins, and recommending things based on past purchase history. So what can you do in these situations? One thing you can do is cache pages unless a specific cookie has been set. This cookie can be set so it’s active only when a user has added something to the cart. So pre-cart-addition everything is cacheable. The specific cookie we’re talking about here is woocommerce_items_in_cart and you can find the full list of WooCommerce cookies here. The other option is client side personalization, rather than server side. With this method, you can store the data you want in a cookie, read that cookie on the client side, and update the UI accordingly. This is not a default method so it requires some time to implement, but can give you more control over your store. Because stores generate a lot of data, they are more expensive to host than your standard WordPress site. Handling this large amount of data generated by a high-traffic store means you need robust PHP and database resources. So you’re going to want a dedicated database machine to allow for plenty of storage, memory, and CPU. In addition, you’re going to want the right amount of CPU and memory for PHP. Performing maintenance via WP-CLI is also helpful. Other tips to keep in mind are that some themes and plugins are not advisable. For example, ones that show hundreds of products on one page, have dynamic menus that pull every page from the database, call certain APIs on every page load, and load images over HTTP to do the resizing. Also as you max out CPU keep in mind that you are trading speed for concurrency, so you want a container-based host that is built for infinite scaling. Trying to optimize the actual MySQL queries is pointless because that will break each time you update WooCommerce and/or WordPress. Instead, run a MySQL tuning utility to analyze the performance and tweak the database query cache as needed. Security is perhaps one of the most important elements to consider when you are setting up an online store with WooCommerce. As more customers are shopping online, there is an increased requirement for sites to be secure. If there is any doubt in the customer’s mind that your site is not secure, they won’t make a purchase. Personal details such as customer data and payment information is highly sensitive, yet it is commonly shared during an online purchase. Security must be taken very seriously, and any breach or loss of data is often featured in high profile media stories and the causes of these breaches are often due to inadequate safeguards against security threats. Fortunately, WordPress provides you with a solid platform upon which to add extra layers of security. By means of an example, “1&sF^m?2p0” would be a very difficult password to crack. And while it may be difficult to remember, you choose a simple password at your peril. One other thing: Your site is only as secure as its weakest link. If your password is extremely strong but someone could hack your email account and request a new password, your site could still be compromised. So don’t just reserve your security consciousness for WordPress – consider security a global issue. We published a very comprehensive guide on the topic, make sure you take a look: WordPress Security – 19+ Steps to Lock Down Your Site. If you do not keep your WordPress website up to date, you will be far more vulnerable to security exploits. For that reason alone, staying on top of updates are vital. In an ideal world, you will instantly update WordPress core along with any themes and plugins that are installed on your site (active or otherwise) as soon as updates become available. Fortunately, from version 3.7 and above, your WordPress site will update itself when a new minor update is released. We cannot understate the importance of backing up your site. No security system is perfect, and as such, your last line of defence is the ability to restore what may have been lost or compromised. WordPress certainly isn’t lacking in terms of backup solutions – both free and premium. 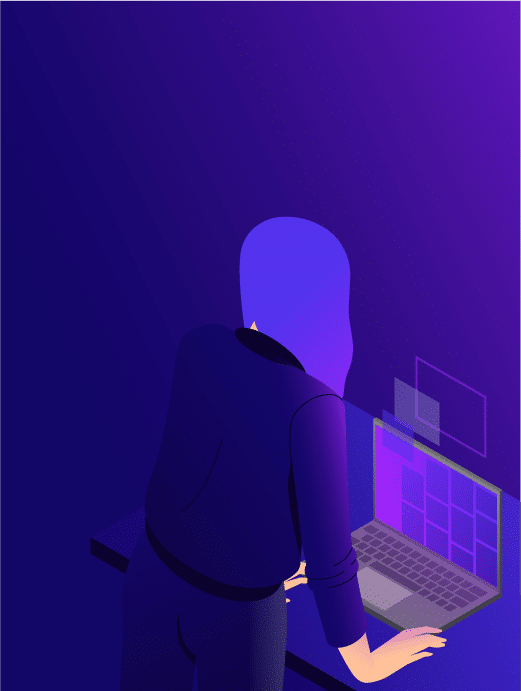 If you are using a managed WordPress host like Kinsta you won’t need a backup plugin as we provide daily backups (both files & DB) to guarantee your data is kept safe. You’re probably familiar with the little padlock icon that appears whenever you’re browsing an ecommerce store. It’s what tells you that your information is likely to be secure. As an ecommerce store owner, you need that padlock. The padlock in a browser indicates that the site is protected by Secure Socket Layers (SSL). In layman’s terms, it is used to encrypt sensitive information – such as credit card details – preventing interception by a third party. 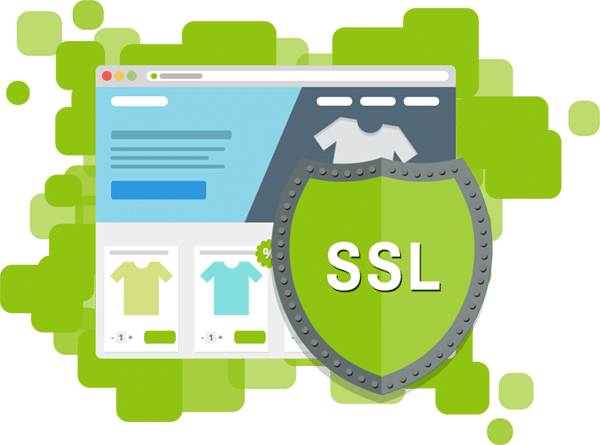 Your hosting provider will almost certainly sell you an SSL certificate. Once you’re in possession of a certificate, you’ll need to redirect your WordPress website to the new URL (i.e. from http: to https:). WPMU DEV provides an in-depth tutorial to achieve this but you can also check out this HTTP to HTTPS migration guide. After you switched to https here you can test your SSL. Everyone knows the saying ‘content is king’, and ecommerce websites are no exception. When optimizing your WooCommerce site it is really important that you write compelling, unique and informative product content. It can be really tempting – particularly if you have set up an extensive WooCommerce store – to just use the product descriptions provided by the manufacturer, or to create a ‘one description fits all’ concept for a number of products. This is a big mistake. Google will penalize websites with duplicate copy, so pasting product descriptions from a competitor site or supplier is the worst thing that you can do.It might take time, but it is worth creating unique content. Undertake research. See how the competition lists products and try to offer something unique. Your competitor is only a few clicks away, so getting this right is so important. In addition, it may seem like common sense, but read your product descriptions through carefully before you post them to your website. Customers will not look favorably upon a website if there are multiple product descriptions with incorrectly spelled words or poorly written product descriptions. Understand your product properly. This is a fundamental building block of developing quality product descriptions. Before you begin to write anything you need to learn about the product that you are selling, so that you can describe it in a unique and compelling way. Learn how to write descriptions properly. Product descriptions should be written to outline the benefits as well as the features. When writing your product descriptions, think about the person who is going to be buying the product and try to write what they would like to read. What questions would they ask; what type of information would they need to know to make a purchase? Try to think like your target customer. Consider SEO. What keywords will your customers be typing into Google? Try to include synonyms and related phrases in your descriptions. Also, don’t forget to check out these 45 WordPress SEO tips to dominate your competition. Try to drive a sale, but don’t be too sales oriented. This is a difficult balance to strike. Customers don’t like pages that are heavily sales oriented. You need to persuade customers in a subtle way to make a purchase, but not be overly pushy. A professional copywriter will be able to help you with this, and it might be worth the investment to employ an ecommerce copywriter to create your product descriptions. If you have thousands of products in your inventory, it can be difficult to know where to begin. A great tip is to start with the products that have the highest turnover, or perhaps those that are more popular, then work your way through the list. Working on your product descriptions may take time, but your hard work will ultimately pay off in increased web traffic and sales. So you’ve got your security sorted and you’ve written your product descriptions. Now it’s time to focus on the images. While this may seem straightforward enough, images can have an enormously significant impact on whether a customer chooses to buy or not. Optimizing your images is arguably as important as anything else. High quality product images certainly sell more products. Multiple images featuring different viewpoints of the product will also be of great benefit to online shoppers who cannot physically see the item. Using different shots – such as the back and front of a sweater, or the inside and outside of a purse – can be of great value to your customers. One of the great features of ecommerce stores – and in particular WooCommerce – is the functionality of 360 degree product images. These provide a comprehensive overview of how the product looks and is a more accurate reflection of what the customer will be buying. Try to include as many product images as you can, and include different colors if the product is available in a range of options. Using video is another great way of providing additional reassurance to customers and persuading them to make a purchase. It also shows that you are willing to put in more effort to provide all of the information you can, so that they can make an informed choice. Furthermore, by optimizing your site with a product video you will also get extra bonus points from Google, and capture the interest of those customers who don’t like reading product descriptions or scrolling through product pictures. For further information, you can read this article. Remember that your video content can also be posted to video sharing sites such as YouTube, Vimeo or Wistia, which will lead to valuable backlinks and shares, subsequently raising awareness of your business and driving more traffic to your store. Optimizing your WooCommerce website for SEO is vital if you want your products to be found on Google (and who doesn’t, right?). Onpage SEO is an essential step of the optimization process, and there are a number of articles and how-to guides on the internet offering general SEO advice, such as Search Engine Journal, Moz and Search Engine Watch to name but a few. As with all SEO strategies, your first step should be competitor and keyword research. Competitors are a great place to start refining your keyword list and understanding what keywords you need to target. Don’t dismiss large competitors, as they will have already invested a great deal of time in optimization and – using a variety of tools and techniques – you can learn many of their strategies and begin to implement them. For ecommerce specifically, look at the keywords that competitors are ranking for on the home page and key product pages. The Moz browser extension is an excellent tool for obtaining this type of information, and you can use SEMrush to identify the keywords that your competitors are using and ranking for. The structure of your website is a key factor when it comes to SEO. Ensure that you have a sitemap in place (this will be automatically generated by WordPress SEO by Yoast), and an intuitive site structure. Clear internal linking structures are great in the eyes of Google, and as a general rule, customers should be able to navigate to what they need in three clicks or fewer. 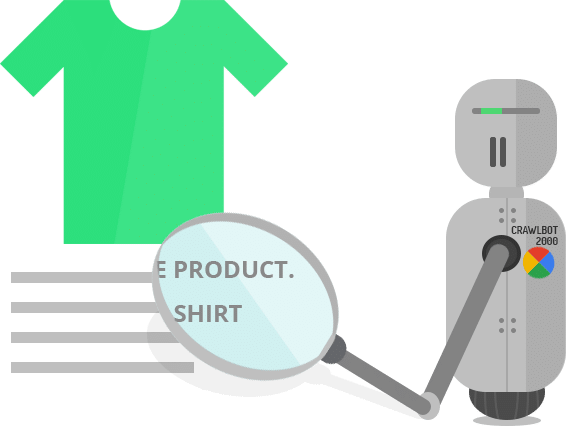 Each product page should be appropriately optimized using the product name and/or keyword both in the main product title and in the permalink. The product description should be long enough to provide the required information, but brief enough for the customer to skim through and find the information that they need. One pro tip is to have a brief summary of a few sentences at the beginning of the description including the main keywords or phrases. 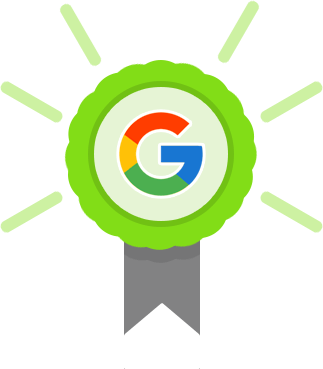 Authority is important in terms of Google – it will look on your site favorably if it is seen as authoritative. This means that lots of quality links pointing back to your site, discussions, shares and customer reviews can all go some way to gaining increased authority. It is important however that you don’t over optimize your site with keywords, as this can have a detrimental impact on your rankings. Pages or descriptions which are heavily optimized can be significantly penalized by Google. Make your pages read naturally, and write with the web visitor in mind, rather than trying to rank for a particular keyword or phrase. Product images should be optimized on your site, so rather than using a product image which has been given a nonsensical name, try to name your images strategically and add a relevant alt text description. Why should the customer place an order with you? Are there any negative things that may happen if they order? How do they order a product or service? 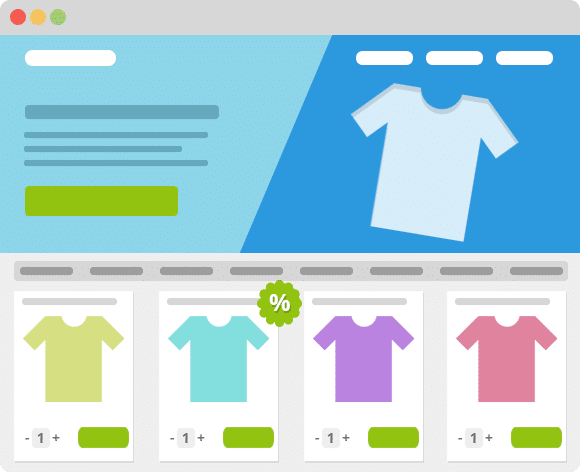 With those three questions in mind, let’s tackle some of the key areas in which you can optimize your ecommerce store. If your checkout process consists of page after page, your shopping cart abandonment will be very high. With that in mind, only ask for pieces of information that you really need. Some online stores will break the process down into two or three steps, while others will just use a single page checkout process. The ultimate goal is to keep it as simple as possible. For WooCommerce, we recommend checking out the WooCommerce One Page Checkout plugin or the Handsome Checkout plugin. Both of these enable you to create a single page checkout. There’s nothing worse than being prevented from making a purchase due to the need to register with your website. If people are faced with a compulsory registration page they may click away to a site that doesn’t have this requirement. Collecting the type of information that you might ask for – name, address, email address, postal address, etc. – are all obtained through the checkout process anyway, so asking for it again before the customer makes a purchase can deter them from making a purchase. If you really want to capture these details, do so after the purchase, but remember that you must give them the option to opt out of regular marketing communications. Sometimes, however, the nature of the items being sold requires shoppers to create an account. Think about recurring orders or selling subscriptions. When that’s the case, it’s extremely important to provide a good reason why creating an account is required. Microcopy in eCommerce (sometimes referred also as ‘UX writing’) is the entire branch of copywriting with focus on improving the user experience and conversions in such cases and can make wonders to the conversion rate of your store. When setting up your WooCommerce store, optimizing it for different payment methods is vital if you want to appeal to as many customers as possible. Each visitor to your site may want to pay through a different method – credit card, PayPal and even Bitcoin can significantly boost the amount of sales that you receive through your website. Support for all of these facilities (and more) is available with WooCommerce. Each time a customer purchases a product or service from your online store, they will receive a receipt, which happens to represent an amazing marketing opportunity. It is also one of the most commonly overlooked methods of marketing, and you could be losing out on sales as a result. 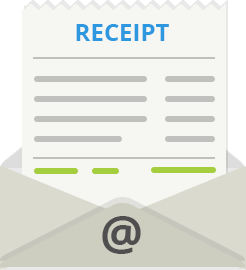 Personalized or branded receipts can significantly improve your sales and revenue through repeat business and incentives. For your WooCommerce store, we recommend Conversio created by the Co-Founder of WooThemes Adii Pienaar. Any wise business owner will understand how strategically placed discounts can be offered to existing or potential customers to increase sales and attract new business. Nevertheless, this process should be used with care as there can be downsides to using discounts. If you are considering offering discounts to customers, you need to think about the age of your business, the number of customers that you have and how your pricing is structured. Identify why you need to apply the discount and develop a suitable strategy. Do you need to offer discounts to beat the competition; is your product is priced a little on the high side? It can be tempting to offer discounts to every customer, but this is often a poor strategy. Alternatively, reserve discounts for loyal customers, or if you have a membership based website, offer them exclusively to members. It is important that you have a strong customer base before you start to apply discount strategies, as doing so can cause problems with cash flow and can ultimately devalue your products. If your business is new, try the more traditional methods of securing new business with good and prompt communication, high quality products and low pricing strategies. Another great little trick is to bundle products, offering several products in a package where you can then add value to the items contained within the bundle. Impatience. Speed of purchasing is a major factor for shopping cart abandonment. Customers shopping online expect sites to load quickly; they don’t want to be spending more than a few minutes waiting for the checkout process to finish or fill out a lengthy order form. Confusion. If the stages of how to make a purchase are not clear, customers will not continue with the purchase. Providing additional costs at this stage can also deter customers from continuing, so be open about all of the costs on the product page. Uncertainty. Customers shopping online are cautious about parting with their personal information, particularly when it comes to card details. If there are any suspicions they will abandon their purchase without hesitation. You need to offer reassurance through adequate security and policies on your site, so that they know that their details are safe. Reduce the number of steps taken to purchase a product or service. Establish a robust security strategy and implement this properly across all of your product and checkout pages. Don’t include a signup page before a customer can complete the purchase. Display all costs as early in the process as possible (on product pages is ideal). Don’t ask for repeat information such as the customer’s address. Provide incentives such as free shipping for orders over a specified amount. Offer a number of payment methods. 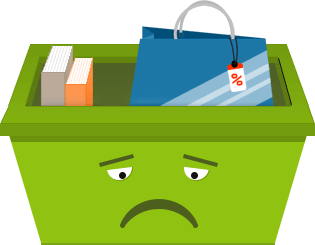 Preventing shopping cart abandonment is difficult, but understanding why customers abandon their purchases can go some way to implementing strategies to reduce abandon rates. For example, Rejoiner is a great tool which helps you convert more abandoned carts into new customers. 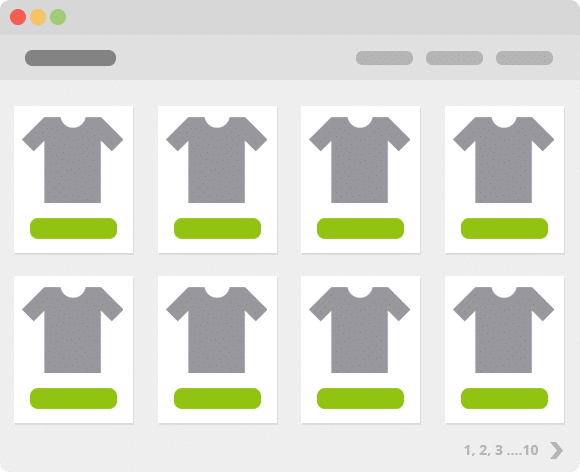 Jilt is also another WooCommerce abandoned cart recovery tool worth checking out. For even more tips on how to reduce your card abandonment rate take a look at this guide created by the Learnwoo team. SMS messaging is an innovative way to communicate with customers on the go. Order tracking and updates are a great way to keep customers informed as to the progress of their order, but don’t overdo it. Don’t send a customer too many messages! An order confirmation and then an update as to when the order is shipped will suffice. You can also send marketing text messages to customers, but before you consider this, make sure that you have their consent. If you want to incorporate SMS functionality into the shopping process you can use Twilio SMS Notifications. It’s a convenient way for customers to contact someone at your store immediately. Customers can save time and expense by speaking to someone directly online without having to wait in a queue on the telephone or wait for the customer services department to reopen. A good live chat system can increase sales as customers have someone to immediately resolve a problem. Any concerns or worries that a customer may have about their purchase can be easily addressed quickly. When it comes to live chat, approaching customers at the right time is key. Too early and they may find it annoying; too late and you may have lost the sale. You can set up live chat so that it instantly begins if the customer is experiencing difficulties, such as at the checkout. While live chat can be a great addition to your website, it does need to be thought out carefully. Is it going to be open 24 hours a day? Will you cater to multiple languages? Will you have dedicated support staff? You can discover 12 of the best live chat plugins for WordPress here. For additional information about live chat we recommend you to read this great article: How to Make Live Chat Convert. Customer Reviews. Establish a customer base and set up a review page or third party page on a popular review site. A customer review can be worth a lot more than any product description. A website with plenty of positive reviews is more likely to gain trust and confidence from new customers. Promoting your website through social media can also increase the number of customer reviews that you receive so use all of the available avenues that you can. There are lots of plugins and tools that can help. Video Testimonials. These are a great way to engage and hold the interest of your customers. A customer video will instill trust, and many people thrive on visuals rather than text. Press Mentions. Create a press release and submit both online and offline to create awareness and trust in your brand and its products. Allow User Generated Content. Add interactivity to your site which enables customers to leave pictures, stories and posts about the products that you sell. This is a great tool to build trust with new customers and encourage existing customers to return. 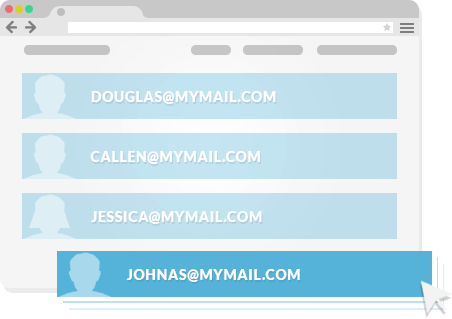 Collecting customer email addresses is an essential element of the buying process. If you don’t do this then you are losing out on a huge marketing opportunity. Build an email list for your ecommerce store using services such as MailChimp and AWeber, which can be integrated with WooCommerce. Once you have a list of customers that you can contact, send out regular marketing emails, offer incentives and encourage repeat purchases. If you would like to learn more about email marketing our favorite place is the Vero blog. Once you have your ecommerce store up and running and all of the above strategies have been implemented, the work doesn’t stop. Optimizing your site is an ongoing process as you need to regularly use web tools to monitor performance, address any issues and apply improvements to your site. SEO is also constant as you need to continue adding content, refining your product descriptions and tweaking keywords and key phrases to keep up with search terms and the changing requirements of your customers. Optimization is as important today as it has ever been if you want to succeed as an ecommerce store owner. Competition is fierce, but if you implement the above strategies effectively, you will have an excellent chance of succeeding. 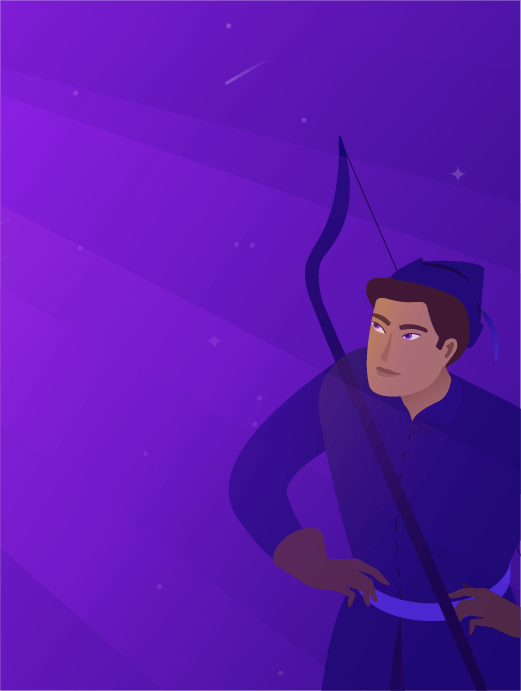 Reading this definitive guide to optimizing your WooCommerce Store is step one of the process, but if you haven’t started already, you must now go back to the beginning and start implementing our recommendations. In doing so, you will get ever-closer to boosting your site’s optimization, and thus your sales. For even more ecommerce best practices make sure you take a look at this detailed guide published on the Thomasgbennett blog. If you liked what you read or you found just one tool or tip useful that you have implemented in your ecommerce store, please share this guide. If you have any tools or tips for optimizing a WooCommerce site which we haven’t covered here, please share them with our team. Thanks, this is a great article! !